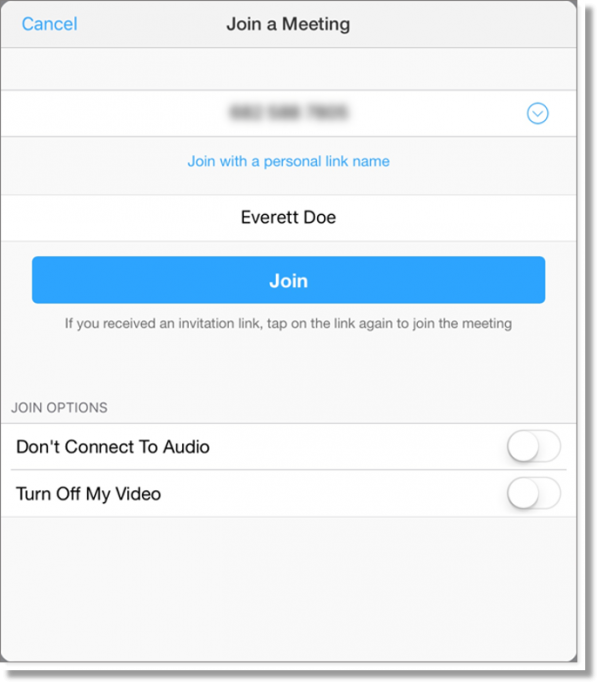 When you’ve been invited to a meeting, the easiest way to join is to click or tap the meeting link in the invitation. 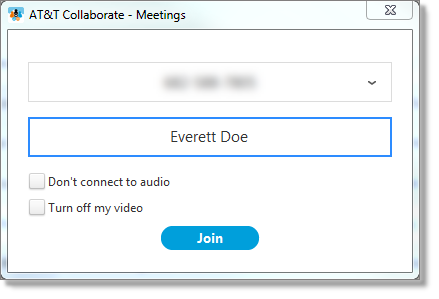 You can also join a meeting directly without using the meeting link. Enter or select the meeting ID or personal link name for the meeting you want to join. To join without audio, check Don’t connect to audio. You won’t be prompted to join audio, but you can still join audio after you’ve joined the meeting. To join with your video off, check Turn off my video. You can still start video after you’ve joined the meeting. To join without audio, turn on Don’t Connect To Audio. You won’t be prompted to join audio, but you can still join audio after you’ve joined the meeting. To join with your video off, turn on Turn Off My Video. You can still start video after you’ve joined the meeting.